With adorable woodland-themed art, an appealing soft padded cover, lots of guided pages in which to write, and ample room for photos, this is the perfect keepsake for Baby! • Save your photos and record your thoughts -- from the moment you hear the good news through Baby’s fifth birthday party! • Includes pages to record Baby’s monthly progress for the first year, as well as yearly pages for ages one to five, and much more. • Measures 8-1/2 inches wide by 11 inches high. • Welcome to the World! With sweet 'Woodland Friends' art, a soft padded cover, guided pages, and space for photos galore, this is the perfect Baby keepsake! Mark every milestone to look back on in years to come! 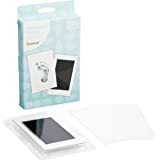 Record your thoughts and save your pictures -- from the moment you hear the good news that you're expecting, to your baby shower, right up to your child's fifth birthday party. Plenty of space for milestones and memories! 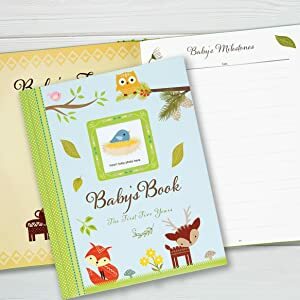 Includes pages to record Baby's monthly progress for the first year, as well as yearly pages for ages one to five, and much more, including baby's first days at home, a family tree, kindergarten memories, gatherings, holidays, and vacations. Add all your favorite photographs! 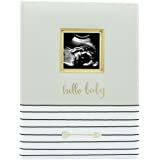 Remember all those special moments with a picture and put them here -- from ultrasound images to kindergarten photos, from birthday party pictures to photos from family trips. A soft padded cover with ribbon trim and a recessed compartment for your favorite baby photo. Adorable artwork. Quotations about babies and children. Even a place on the very last page where you can write a note to Baby! 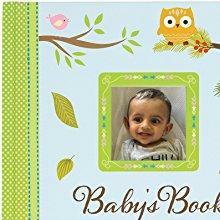 Sturdy hardcover baby book will preserve those memories. Hardcover book makes writing easy. Large 8-1/2-inch by 11-inch size provides plenty of room to record every amazing detail. Archival quality pages take pen beautifully. Acid-free paper will help preserve those memories. Superior, smooth-finish pages provide the perfect writing surface. Sweet artwork is the perfect complement to Baby's nursery. Matches Peter Pauper Press's other 'Woodland Friends' baby products. Padded hardcover with ribbon trim. 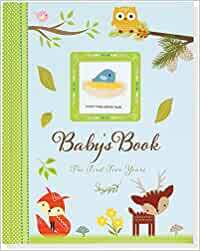 Baby book measures 8-1/2 inches wide by 11 inches high. Baby book comes gift-boxed with a protective polybag wrapper. In 1928, at the age of twenty-two, Peter Beilenson began printing books on a small press in the basement of his parents’ home in Larchmont, New York. Peter -- and later, his wife, Edna -- sought to create fine books that sold at prices even a pauper could afford. Today, still family owned and operated, Peter Pauper Press continues to honor our founders’ legacy -- and our customers’ expectations -- of beauty, quality, and value. 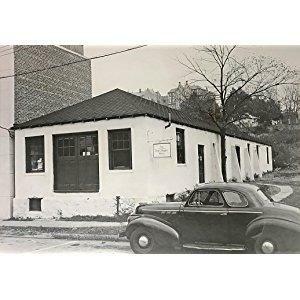 Image: Peter Pauper Press headquarters, Mount Vernon, New York, circa 1948. 5.0 out of 5 starsSweet keepsake. Such a sweet book. Enough space to write info (1 page per month for the first year and then decreases from there until 5 years) but short enough that's it's not so overwhelming for a new mom or dad to fill out. Space for pictures. Would recommend getting this before the baby is born so you can fill out how you told family about the news and some pre-baby info. I'd forgotten a lot of that by the time I got this (baby was 3 months). It will make a really great keepsake. I'm so happy I've been writing stuff down because I've really forgotten so much already! My baby is 10 months now. I think back to his newborn phase and think "oh it wasn't too bad! he was so sweet and such a calm baby!" hahah nope. according to my entries he cried A LOT. It will be fun to share with him when he is older. And bonus if he ever has his own kids and I do that typical grandma thing "oh you never cried. oh you slept so you well" he can be like "well, according to this awesome book you so lovingly made me I cried a lot and you nicknamed me "Sir Screamsalot" and the "Sleep Thief", so...". This is a very good baby book. I love how detailed it is and I enjoy the categories it includes. I suspect my girl will enjoy reading this book when she gets older. My one caveat: to be honest, it takes a while to fill out. I was quite ambitious when I purchased this (pregnant and excited) and now I'm tired and busy with my 6 month old. Sometimes, filling out this book seems overwhelming. If your like me, it probably would be best to get a more simple book. One that will be more enjoyable to write in, though maybe less detailed. 5.0 out of 5 starsAmazing book and excellent quality. 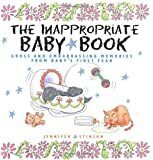 This book is the best baby book I have seen so far. The book itself is excellent quality and comes in a keepsake box. The pages are nice and thick with bright prints on them. There is lots of space to put tonnes of details and it asks for lots of different information. There are also lots of pages to put pictures as well. This book is well worth the price paid and I am extremely happy with it. 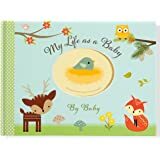 Super cute baby book! Arrived in a timely fashion and was exactly as advertised. The pages are of a nice thick quality so you can use a nice fountain type pen to write on the pages without it bleeding through to the other side. I like that there are lots of sections to fill in and there is a lot of variety in the sections. I also like that it's gender neutral as we didn't know what we were having before our little one arrived, so it is a nice gift for a baby shower when the gender is unknown! Great product! 5.0 out of 5 starsOf 3 baby books I bought, this is the best. This is the baby book to buy. Love all the places to write things. This book is great for being a complete unit to remind you to record certain memories, like footprints, and a great place to store them. I bought 3 books off here, but using this one. Tons of details, a lot of work to fill out every page. My wife really wanted this, but struggles to find time to fill it out. Dads, if you are prepared to help fill it out, its cool to have so many things to keep track of, but personally I would have gotten a simpler version. love it. Very detailed and elegant design, I bought it when my son is 1 years old, I spend quite a lot of time to fill up, during that time, I remembered so many pleasant moments. I'll keep on fill it up until he is 5 years old. I would imagine how touched when he read it when he grow up. Every baby should have it. Very sturdy book which arrived with a box as well. 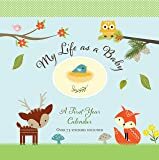 the first year has pages for family history, expecting, birth, and each month -each with milestones, health, photo pages, and journaling spots. After the first year, then each year has pages for milestones and photos and journaling.